Taking advantage of the last 15 minutes I had before needing to head inside Penn Station to travel back to Virginia, I waited … and waited … for the perfect pedestrian to help frame this shot of the Empire State Building. I had just about run out of time when this young woman stepped out of a taxi. It was a great way to end a great visit to NYC! This entry was posted in Architecture, Black & White, Cityscapes, Monochromia, New York City, Places and tagged black and white, buildings, Fuji X100T, photography, postaday, urban photography. Bookmark the permalink. 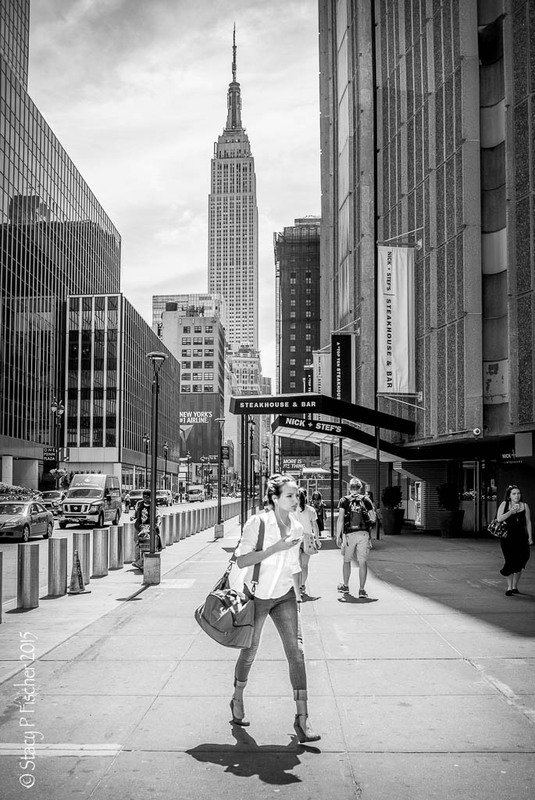 I focused so much on the pedestrian, that I actually missed the Empire State Building (embarrassed to admit that). Ha! She does make for a striking subject, doesn’t she? As for my energy, good thing my hubby was being a good sport (although truth be told he didn’t stand a chance – waiting in Penn Station vs out on the city streets? No contest for what I like to shoot 🙂 Thanks, Laurie! A striking shot and worth the wait! So, so New York! And soooo sharp. I love the clarity of these shots. Stacy stalks the perfect pedestrian! Patience… is a virtue that all artists should practice. It works. Very nice contre-jour shot. The young lady and the Empire State compliment each other so well! Ha! I love that – so very NYC 😀 Thanks, Joanne! And your patience pays off. This reminds me of a fashion layout from a trendy magazine. 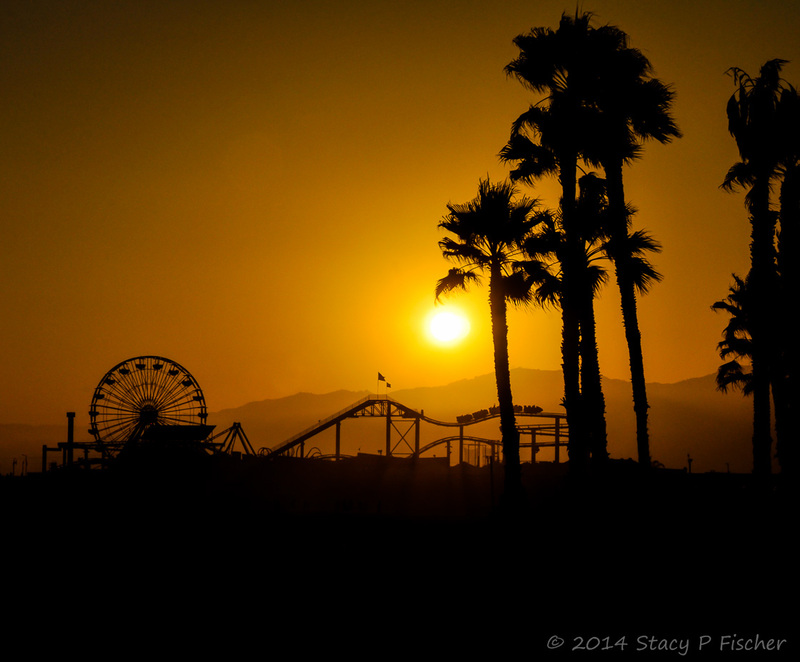 Amazing capture, Stacy.